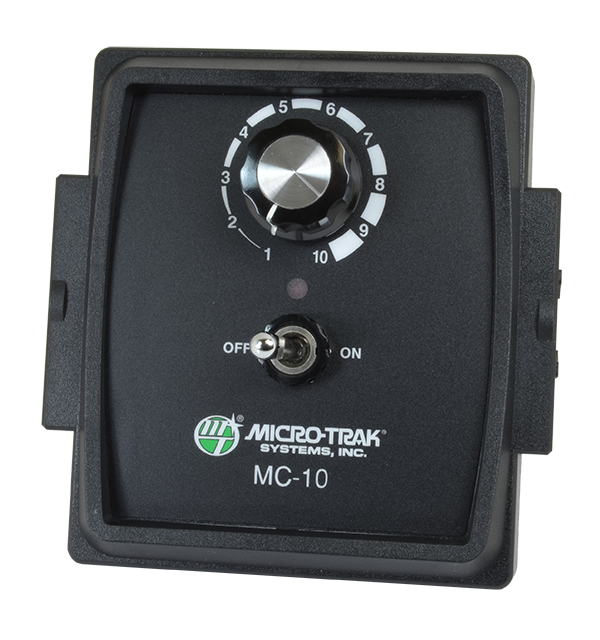 Manual Motor Controls | Micro-Trak Systems, Inc. They work by adjusting the speed of any 12v pump and are accurate over a wide range of RPMs. Ideal for controlling low-volume starter fertilizers on seed drills and planters. Check out the Manuals & Literature tab for more information or contact Micro-Trak with questions. © 1999- Micro-Trak Systems, Inc.